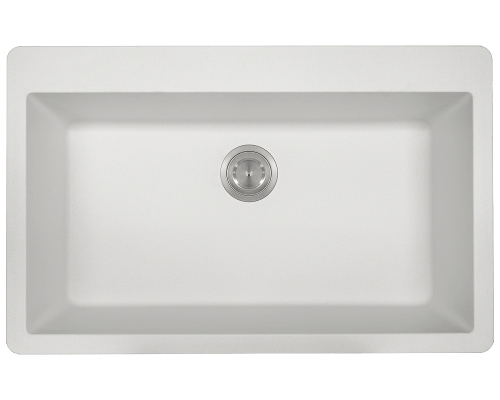 What makes a composite sink? 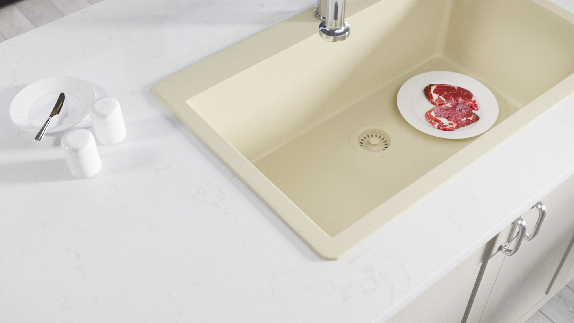 There are many granite-like sinks on the market. 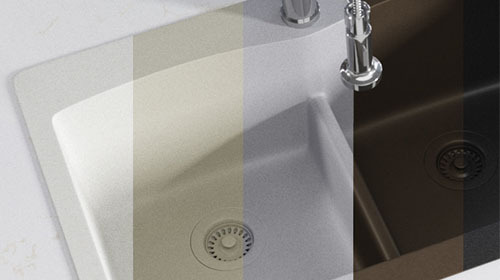 You may have heard of quartz composite, granite composite, or synthetic sinks. 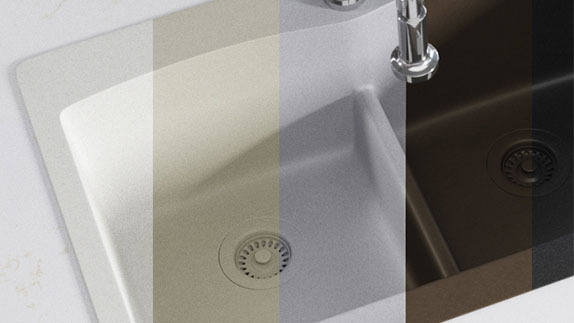 There are various similarities between each sink, including the fact that they are all man-made stone and comprised of slightly different materials. Our TruGranite topmount quartz sinks are made with 80% quartz and 20% acrylic to form a durable sink whose beauty is sure to demand attention. 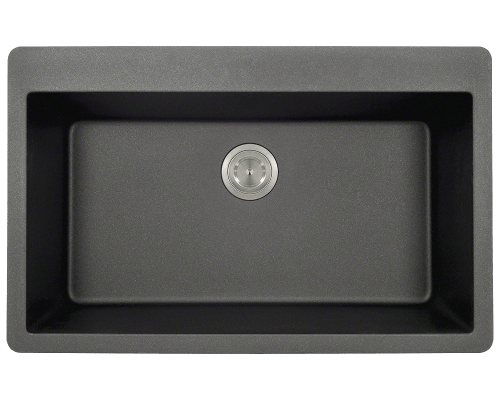 Our composite TrueGranite sinks are available in 6 matte colors: black, beige, slate, mocha, silver and white. 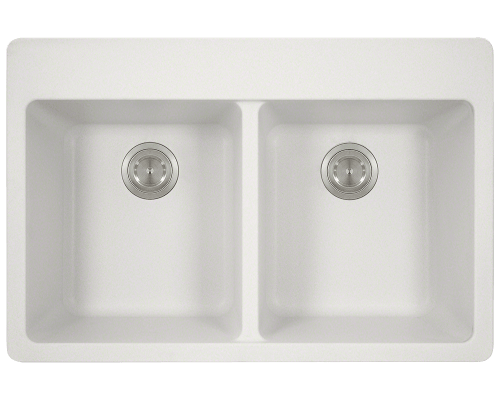 As topmount or drop-in models, our quartz sinks are designed to be installed on top of the counter. 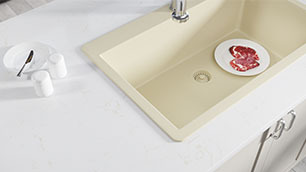 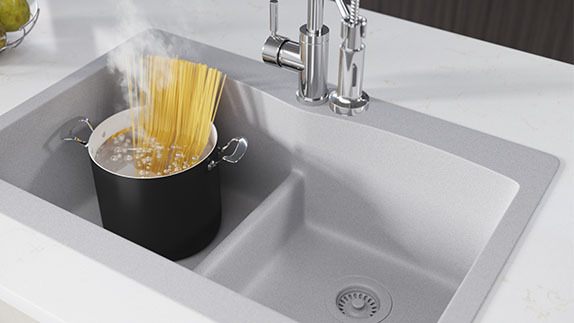 Each MR Direct topmount quartz sink has a completely level surface, which gives a smooth and flat appearance. 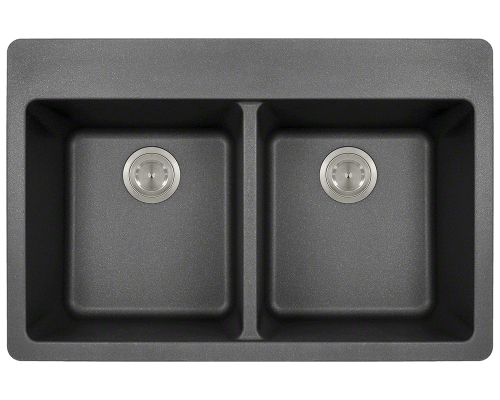 The topmount models also feature four pre-scored holes that can be removed to accommodate your faucet and accessory needs.